HissTank › HissTank Community › G.I. 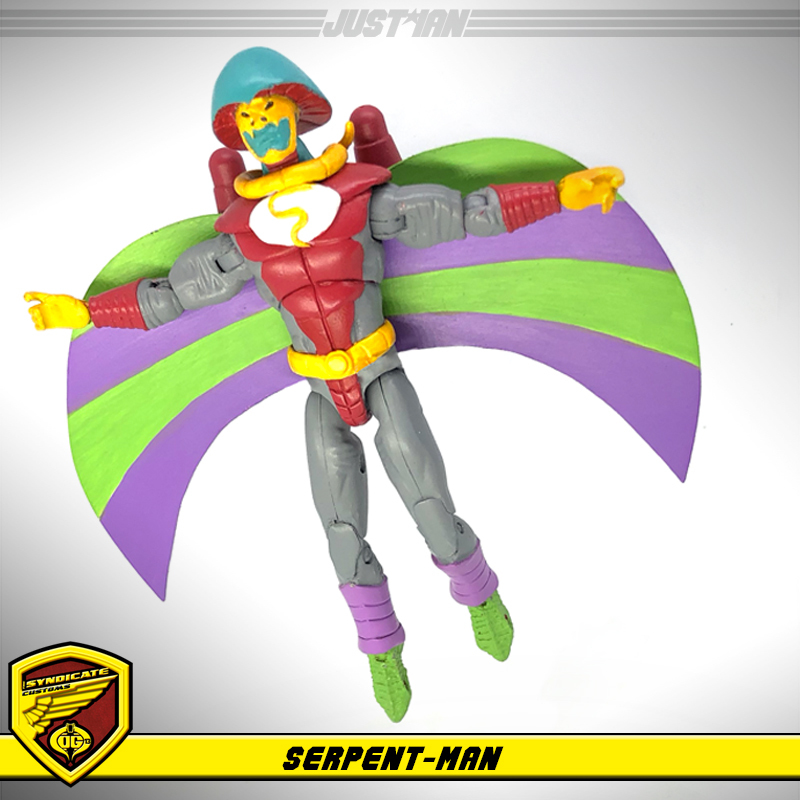 Joe Customs › GI Joe DIC Cartoon Serpent-Man Custom by Ian! GI Joe DIC Cartoon Serpent-Man Custom by Ian! Serpent-Man from DIC cartoon 1990 episode "Injustice and the Cobra Way"
Great work dude. Really digging into the depths of obscurity for this one. ...and yet, it's CC! So it's a super obscure character and a mainstay character all at once! Best of both worlds!!! What a weirdo, haha! But, looking at the source pics you�ve nailed it! If you didn�t provide the original scene pics I�d say this was a Mighty Morphin Power Ranger enemy. True but who was he honestly fooling. His name was SERPENT MAN that's not suspicions at all. This is amazing! Never heard of this? Wow! How would one conjure up these gems on the secret today? Thanks in advance. Never watched the DIC series and I think I would have clawed my eyes out rather than see Cobra Commander in this "disguise." However, your figure is an excellent representation of the source material.